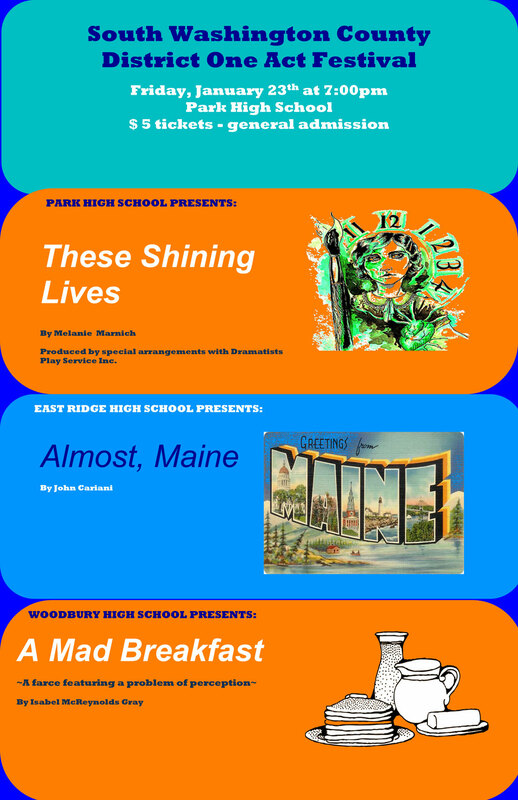 The District #833 One-Act play festival will be held at Park High School in Cottage Grove on January 23, 2015 at 7:00pm. 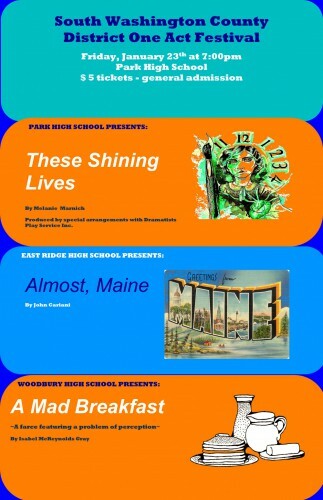 All three district high schools will present their competition one-acts for the public. Enjoy an evening of the best the district has to offer!